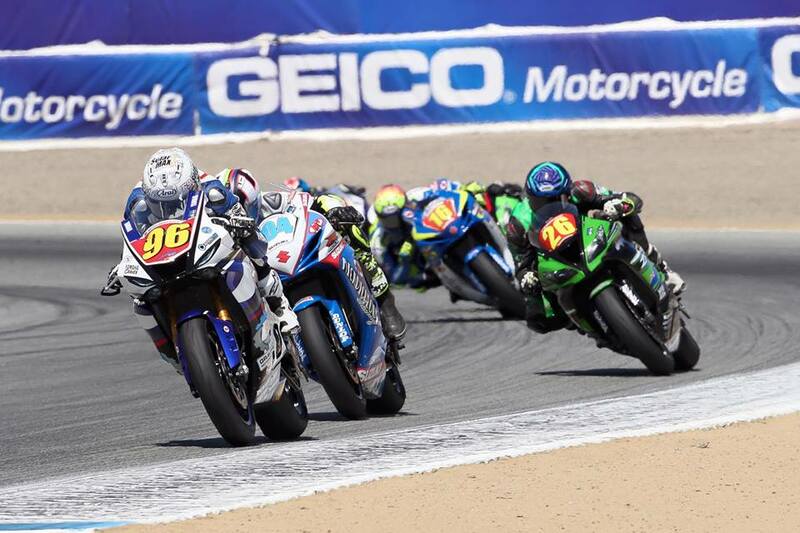 Monterey, CA — RiderzLaw Racing gets a dream start to their ‘California Conquest’ of MotoAmerica’s Northern California rounds, as RiderzLaw Racing notches a victory, podium, and competitive finishes across multiple classes during the series’ first of two California rounds at Mazda Raceway Laguna Seca. RiderzLaw-supported rider Josh Herrin of Meen Motorsports notches his first Superbike podium finish in Race 2. Herrin would take to the front during the early stages of the race before yielding to the pair of Yoshimura Suzuki Factory Racing riders Toni Elias and Roger Hayden. He then battled with Cameron Beaubier before getting the best of the Monster Energy/Yamalube/Yamaha Factory Racing rider to take 3rd and the final podium spot for the race, his first podium finish in class since moving up from Superstock 1000 this season. Also in Superstock 600, RiderzLaw Racing rider Robert Pierce onboard his Yamaha R6 has a weekend to remember despite a start to forget. A mistake during the first Free Practice session of the weekend meant lost track time for the Yamaha rider, but Robert was quick to shrug it off and return to the track in the following sessions. Robert would miss out of Qualifying for the race by just .007 of a second, but a win during the Last Chance Qualifier race secured him the 25th spot at the grid for the main race. Robert climbed positions during the race, settling in behind Ezra Beaubier before passing the One6Sport rider en route to an 18th place finish overall for the race, 12th in his class. In the KTM RC 390 Cup – a class presented by RiderzLaw during this round and again at Sonoma Raceway in August – RiderzLaw Racing rider Gray Pham of Team MotoTriad has his best qualifying result in class, securing 4th place on the grid for the 12-lap race. Gray proceeded to record the fastest lap in the race and fought for the final podium spot before relinquishing the position in the final lap to finish 4th place. 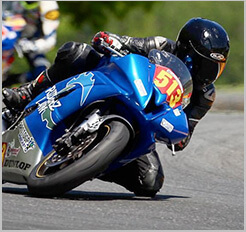 RiderzLaw has a dedicated team of lawyers who are experts in helping victims of serious motorcycle accidents. For more information on how to contact RiderzLaw, please visit riderzlaw.com or call 1-888-5-RIDERZ. Follow RiderzLaw on Instagram, @riderzlaw.